A little while ago I carved out some sewing time for me, and decided to make a bag for a very good friend who was visiting from America. I don't have much spare time (like most of you I'm sure), so I chose a Reversible Hobo bag, as it's a quick make! I chose not to make it reversible because I used such a light fabric for the lining. 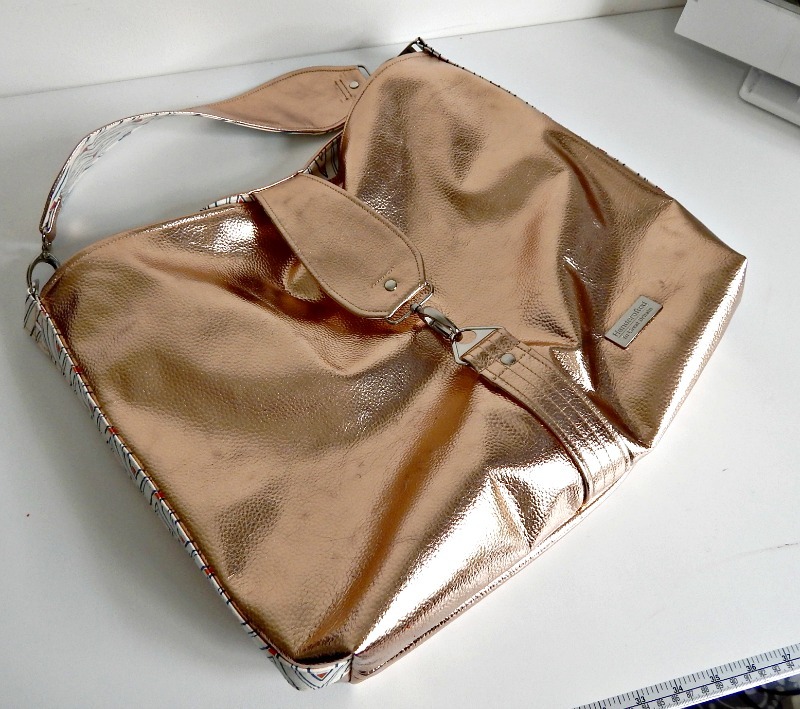 I used Copper ends from Pat Bravo's Artisan collection for the lining and pockets, side accents and flap lining, and I used a Rose Gold faux leather from Taimar's Glitter on Etsy. 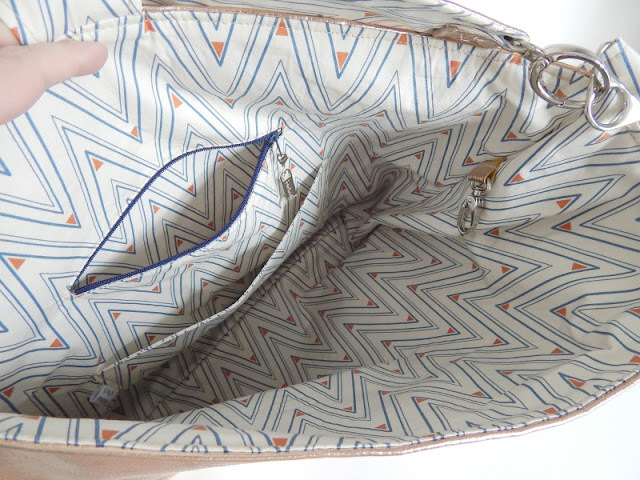 I added a zip pocket, a slip pocket and a key hook to the lining of the bag, but I didn't add the zipped pocket to the outside as per the pattern. I didn't add the front catch to the lining either, because I wasn't making it reversible. I absolutely love this side accent with the hint of copper against the rose gold! 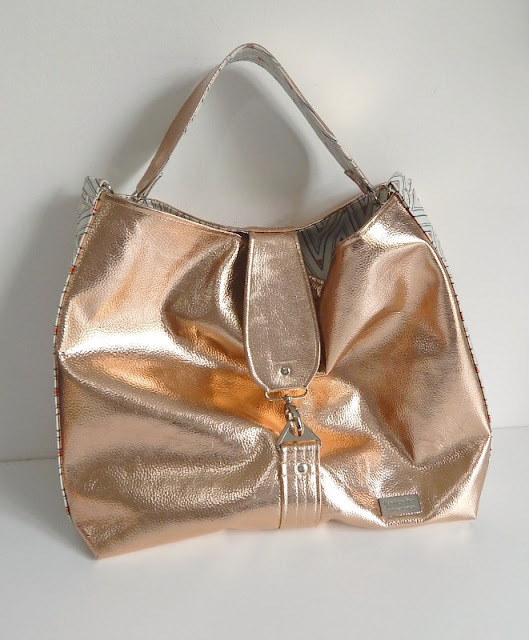 This bag is super blingy, and I hope my friend didn't find it too blingy! 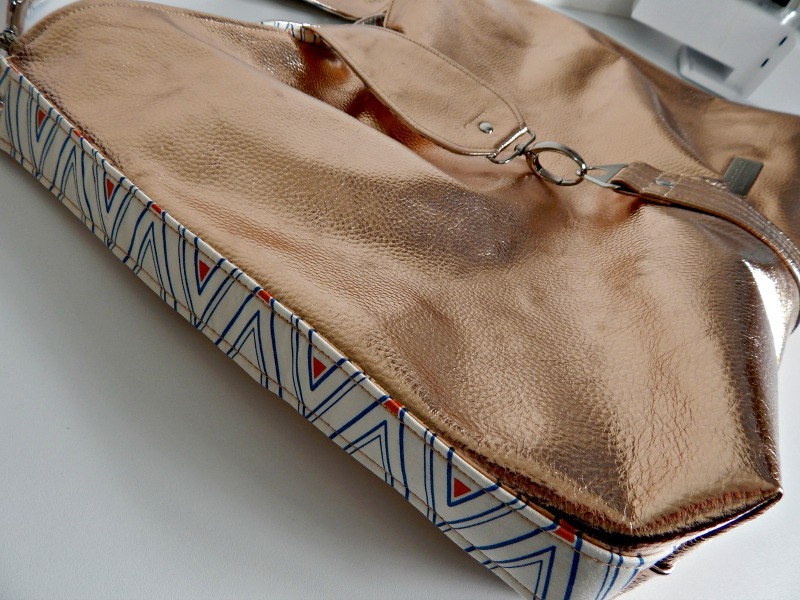 I used lovely shiny nickel hardware, rivets, triangular rings, swivel claps and a 'Handcrafted in Great Britain' bag label from Emmaline bags to finish the bag off. Overall, I was completely in love with the bag and didn't want to give it to my friend.... I guess that's how it's meant to be when making bags as gifts for friends! What was the last bag you made as a gift? I'd love to see it! You can find the Reversible Hobo pattern in my store.